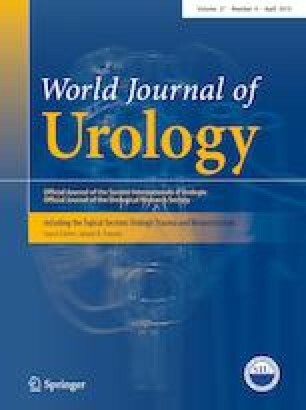 To better understand our urethroplasty outcome, we translated the English version of a urethral stricture surgery patient-reported outcome measure (USS-PROM) into Japanese and used it to evaluate the effect of urethroplasty for anterior urethral strictures. The PROM quantifies lower urinary tract symptoms (LUTS) and health-related quality of life (EQ-5D), and it evaluates overall satisfaction by asking patients to choose “very satisfied”, “satisfied”, “unsatisfied”, or “very unsatisfied”. 93 Japanese-speaking male patients with anterior urethral stricture who underwent urethroplasty completed it before (baseline) and 6 months after urethroplasty. The psychometric criteria evaluated in the present study were the PROM’s internal consistency, test–retest reliability, criterion validity, and responsiveness. Qmax was negatively correlated with the LUTS-total scores (r = − 0.61). Cronbach’s alpha was 0.80 and the test–retest intraclass correlation coefficient for the LUTS-total score was 0.82. 83 patients (89.2%) achieved stricture-free, which was defined as no re-stricture on cystoscopy and no need for additional treatment. The mean total LUTS-score improved from 12.4 at baseline to 3.7 postoperatively (p < 0.0001). The mean EQ-5D visual analogue scores and EQ-5D index improved from 61.2 and 0.76, respectively, at baseline to 77.9 and 0.89 postoperatively (p < 0.0001, p < 0.0001). 55 patients (59.1%) were “very satisfied” with the outcome of their urethroplasty and 33 (35.5%) were “satisfied”. The Japanese version of the USS-PROM has adequate psychometric properties. Urethroplasty improved not only objective data but also voiding symptoms and health-related QOL, and it resulted in a high rate of patient satisfaction. This study was supported by a grant for scientific research from the Ministry of Education, Science, Sports and Culture (16H05467). We have no financial interests to disclose. AH: data collection, project development, data analysis, and manuscript writing. MS: data collection/analysis. KO, AM, KI, TA, ET, and FK: data collection. RA: data collection, project development, and manuscript editing.